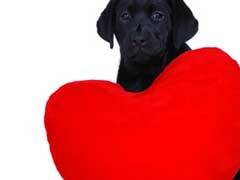 Pimobendan for Dogs - Heart Failure Treatment! If your pet has been diagnosed with congestive heart failure then Pimobendan for dogs may be prescribed by the vet. This medication is available by prescription only, and it is the generic form of the drug Vetmedin. This medication for congestive heart failure in dogs is normally used together with other cardiac treatment medications for the best possible results, and is usually tolerated well by canines. Pimobendan for dogs can help lengthen the lifespan of your pet, and make them more comfortable so that the quality of life is not significantly decreased due to this medical condition. The pressure and stress on the heart are reduced by this drug, and the blood flow through the body is increased so that the heart can work more effectively. Vetmedin for dogs, and the generic equivalent, can have a number of possible side effects which may range from manageable to severe. These side effects can include an allergic reaction which may be deadly, seizures, shock, jaundice, coma, and other serious complications. Pimobendan for dogs can also involve other side effects, such as diarrhea, a loss of appetite, weakness, lethargy, drowsiness, coughing, and fluid accumulation. This medication may also be used to treat dog heart murmur symptoms to prevent congestive heart failure from occurring in the first place. Pimobendan for dogs is commonly used together with another class of drugs called ACE inhibitors, and this combination will usually work better than either class of drugs alone. Benazepril for dogs is one of the most commonly prescribed medications used together with Pimobendan, although there are a number of other ACE inhibitor class drugs that can be used instead. While all drugs carry some risks, if your pet has heart failure then the benefits provided may outweigh the risks significantly. Any concerns about the medications prescribed for your pet should be discussed with the vet to ensure the proper treatment is provided.